Parking card in front of the beach during the entire stay. 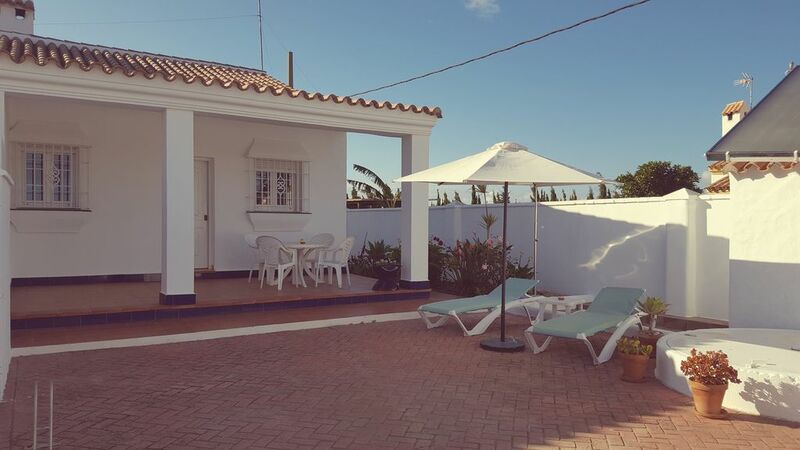 Terraced house with all the comforts for your holidays and a privileged distance from the beach, in just a few minutes walk. With a maximum occupancy for 4 people. With quality appliances. It has oven, microwave, fireplace, private parking, barbecue, Wi-Fi Internet, bicycles, outdoor shower, solarium ... The price includes sheets and towels. A great advantage is its location, since it is at the perfect distance to go to the beach and, at the same time, to be able to rest, without noticing the noise of the first beach line where the bars and restaurants are located. In short, everything you need to have a great stay.